Westford, MA and London, February 9th, 2016 – Keshet International has deployed Aframe’s cloud video collaboration platform to create a central, secure location for all video content and help accelerate its delivery to clients around the world. Keshet International (KI) is Keshet Media Group’s global distribution and production arm. Headed by CEO Alon Shtruzman, it includes Keshet’s local production outposts (Keshet UK, Keshet Australia, Keshet Studios and Keshet DCP in the US) as well as its global distribution arm. KI’s catalogue consists of over 70 tried and tested properties that appeal to audiences worldwide, spanning all genres. Highlights include hit drama Prisoners of War and the original Israeli version of prime time Emmy® winner Homeland. Having previously stored video content at the HQ in Tel Aviv, the global business realized it needed a solution that would help improve its workflow for sharing content as part of its sales process, but also make it more secure. 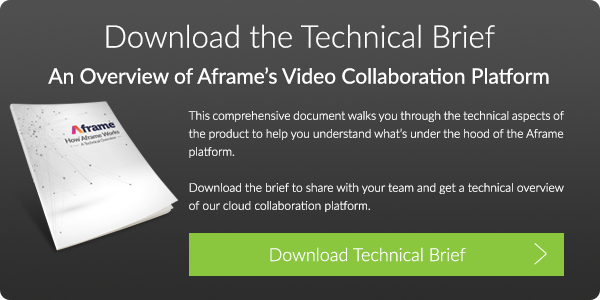 After hearing about Aframe through an internal recommendation, Keshet International deployed the cloud video collaboration platform across its sales team, as a means to store all content in one central location and speed up the sharing process.